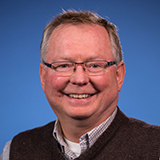 Long time radio Bible teacher and author Dr. Warren Wiersbe is well known around the world for his comforting voice and warm personal approach to studying the Bible. Whether through his bestselling “BE Series” commentaries or his popular “Back to the Bible” radio ministry, Dr. Wiersbe has guided millions into a life-transforming encounter with God’s Word. 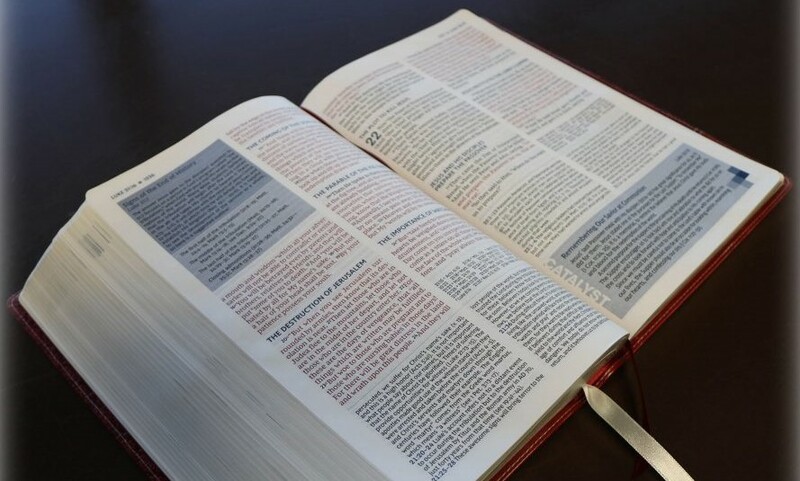 In this Q&A, Warren Wiersbe, general editor of The Wiersbe Study Bible (Thomas Nelson, 2019), shares his love of the New King James Version (NKJV) Bible translation and how this study Bible offers in-depth reflections on scriptural themes to encourage the spiritual journey of its readers. How did you become a pastor? Warren Wiersbe: I was raised to go to Sunday school and church and I did. But I had never been born again. They even confirmed me in church, but I had never been born again. Billy Graham came to speak at a Youth For Christ meeting, and they asked me to be one of the ushers. They wanted the best, you know? I didn’t tell them I didn’t belong there, but that’s alright. I listened to him preach, and the longer he preached, the more convicted I became and I gave my heart to Christ. I couldn’t go forward and be counseled because I was an usher and had to be at work. But the following week at prayer meeting, Wednesday night, I stood up and told the saints. I said “I gave my heart to Jesus. You all thought I was already born again, but I wasn’t, and now I’m saved. Not only that, I’ve been called to serve.” My salvation and my call to be a preacher came at the same time. Tell about your radio work with Back to the Bible. Warren Wiersbe: Back To The Bible was founded by Theodore Epp back in the 1930s. He was a gifted Bible teacher. He asked me to come on board when he was preparing to retire. During my time with Back To The Bible, it was wonderful to see what God did. He uses the Word of God in such a way that you get letters from people saying “I thought I was a Christian, but I’m not, and I gave my heart to Christ.” Of course, I went through that as well. It was just a great experience to be here and to be on the radio with Mr. Epp. I thank God for the ministry. You’re the author of 174 books. What inspired you to write? Warren Wiersbe: The simple answer is, that’s all I can do. I was the last kid chosen for every team when I was in grade school and junior high. “You take Wiersbe…,” “No, we don’t want him, you take him,” because I’m not athletic. Now, I had two older brothers who were very athletic. Baseball, ice hockey, you name it; not me. In fact, the first 10 years of my life, I thought I was adopted because I didn’t fit the family. So, as it worked out, the Lord opened the door in other ways and that was writing. I’ll tell you a little story. I thank God for my sixth grade teacher. Every Friday in grade school she would require us to get a piece of paper out and write an essay on something that happened that week. When I was moving from grade school into junior high school, she stopped me one day in the school. And she had a file of my essays. She had saved everyone of my essays. And she said to me “I want you to do a lot of reading and a lot of writing. That’s where your life lies”, and she was right. The one thing that I could do that my two brothers couldn’t do, was write. I’d have to help them with their school work sometimes. So, God has been very good to me, to put me in touch with people who love reading and love writing. I don’t think I could have made it at all in the ministry, if I had not learned how to write. What is a favorite Bible passage of yours? I think Bible study is one of the most exciting things I ever do. I’ve been living with the Bible ever since I got saved that night at a Youth For Christ rally. I’ve used it on the radio; I’ve used it in conferences. And as I study the Word, it always tells me something. I feel sorry for people who read it and put the Bible back on the shelf and forget about it. I’ve sometimes read a passage over and over and over again. Campbell Morgan, the great British preacher, said that he would read a book of the Bible 50 times before he’d lift a pen to write a book about it. I’m grateful for the Word of God. It’s fed me. I did a series on the radio on the different pictures of the Bible in the Bible. The Bible is seed—well plant it. The Bible is bread—well then eat it. The Bible is a light—well then follow it. People make it so difficult, but it isn’t. The Holy Spirit is there to teach us. How is the Bible a part of your life today? Warren Wiersbe: I have my devotional time early in the morning. Not everybody does that—they might want to do it in the evening—that’s okay, just as long as you do it. I start the year in Genesis, Psalm 1, and Matthew 1, and I just keep on moving. I learn. I thank God for the Bible because it tells me what I need to know and it warns me against what I shouldn’t get involved in. How should the Bible be studied? 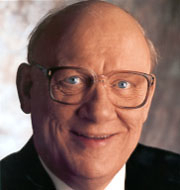 Warren Wiersbe: Studying of the Word of God depends upon the heart. This book was written for the mind, but basically for the heart. When I open my Bible, I want God to say something to me. If he doesn’t, it’s not his fault—it’s my fault. So, in all of my conference ministry, I’ve tried to get people excited about the Bible. There’s so much there that people ignore and they shouldn’t do that. I find that when I trace the cross references, when I take time to pray and meditate, God says something to me. Then I can share that with others. So the joy of Bible study is not in learning something abstract. The joy of Bible study is seeing your life changed. There are people who open the Bible to a random page and start reading. You wouldn’t do that with any other book. (I hope you don’t do it to any of my books.) What we have to do is read it systematically. We don’t have to read a whole chapter. We can read three verses and stop and say, “Wait a minute, I want to think about this.” That’s when I reach for my Bible that has the cross references. Because the Bible is it’s own expositor. The Word of God teaches us the Word of God. The Holy Spirit helps us. This is one of the joys of the Christian life. People need to have an appetite for the Word of God. That’s the thing that we need today. What makes the New King James Version a good Bible translation? Warren Wiersbe: I thank God for this translation. Because it has the beauty of the King James, but the accuracy of a textbook. This translation has solved more problems for me. I think I have 17 study Bibles and they’re all about the same in the long run. I always find myself coming back to this translation. The beauty of it, the accuracy of it, has been very, very meaningful to me. I’ve always recommended it to my preacher friends. What is your prayer for The Wiersbe Study Bible? Warren Wiersbe: I hope it will be used of God to bring families together, to bring churches together; to help people know the Word of God and what they should do with it. I trust it will be a blessing. 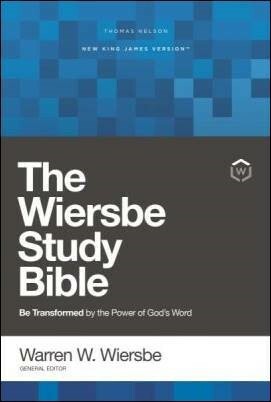 The Wiersbe Study Bible (website) is published by HarperCollins Christian Publishing, Inc., the parent company of Bible Gateway. Bio: Warren W. Wiersbe, former pastor of the Moody Church and general director of Back to the Bible, has traveled widely as a Bible teacher and conference speaker. Because of his encouragement to those in ministry, Dr. Wiersbe is often referred to as “the pastor’s pastor.” He has ministered in churches and conferences throughout the United States as well as in Canada, Central and South America, and Europe. 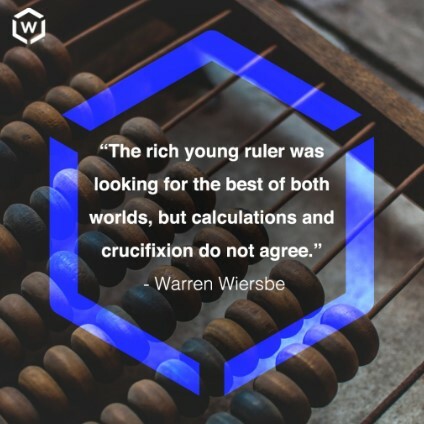 Dr. Wiersbe has written over 174 books, including the popular BE series of commentaries on every book of the Bible, which has sold more than four million copies. At the 2002 Christian Booksellers Convention, he was awarded the Gold Medallion Lifetime Achievement Award by the Evangelical Christian Publishers Association. Dr. Wiersbe and his wife, Betty, live in Lincoln, Nebraska.